Yes, there has been some criticism of Kenny Jackett and Pompey this season, but three points at Fleetwood on Tuesday is something we could all be pleased with. Jamal Lowe, who had recently promised to step up to the plate and other more, both in terms of play and a goalscoring threat, gave the Blues a half time lead when he curled home. Lowe was involved in the crucial, ultimately decisive, second too with 15 minutes to play when he provided the cross for Oli Hawkins to force home his latest goal of an impressive enough debut season, which has of course seen him turn out in central defence too. Fleetwood had hope of getting back into the game late on when Conor McAleny pulled one back, but fortunately the struggling Cod Army couldn’t find a leveller as Pompey’s hopes of pushing on for a top-six place remain on. As said there’s been some criticism of manager and players, but the positive thing is we look as if a decent young squad in being put in place and Jackett is pleased with the way things are starting to come together. A long list of injured players meant a number of young players, particularly young, were brought into Jackett’s squad at Highbury to make up the numbers on the bench. However, in fairness, he wouldn’t have selected them as part of the squad is the manager didn’t believe they could do a job is called upon. Could this young squad, Tuesday’s XI had an average age of just 22, push on for a play-off place? Jackett is looking ahead to Blackpool at Fratton Park, and those games that will follow, as opportunities to do just that. The youngster will benefit from this season. Perhaps we’re not ready for a top-six finish in all honesty as most, if not all, are going to do better if we miss out this term and come back stronger next time round – it goes without saying if we could make the play-offs we wouldn’t turn it down. A balanced side between youth and experience is certainly what you want, Tuesday was maybe closer to what we would want, albeit with a very young average age. Young & balanced. Can’t argue with that. With injuries & suspnsions we are very limited in our choice. Thankfully we were playing the most out of form team in our league. Against any half decent team & we would get beat as shown since the new year. 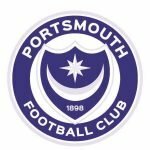 This is Portsmouth with a home crowd of 18,000 and Port Vale with a small budget!!! Wake up & smell the real air & stop looking at things through tinted glasses. We must do much better & I’m not convinced Jackett or those making the decisions on players are doing us justice. So, what do you suggest then Matt? Go out and spend copious amounts of cash on players again?! Been there and done that haven’t we, yes, it is frustrating at times but I’d seriously we went about it this way than the alternative. There seems a genuine plan, if Jackett is the right man to lead this plan, only time will tell, but if we can keep this team together for a few years they’ll deliver I reckon.